Swedish Punch is once again – just like the original term “Punch” itself – linked to the history of trade and seafaring. And it is closely linked to the so-called Svenska Ostindiska Companiet or Swedish East India Company. Among the East India companies of the colonial trading era this is certainly not one of the best known, but its purpose was of course identical to the more famous British or Dutch variant. During the 18th century the Swedish East India Company also imported Arrack (if you don’t know what Arrack is, I recommend you to take a look at my article about the By The Dutch Batavia Arrack – for punches a quick look at the Planter’s Punch might also be a little informative). And here too, the habits of that era led to the seasoning of the available spirits at sea with spices, citrus fruits, sugar, water and even teas. A custom that ultimately spread to the Swedish mainland and later became known abroad as “Swedish Punch” (also written Swedish Punsch in some sources). In the context of the triumphant success of cocktails at the end of the 19th century, the Swedish Punch also made it into several recipes in contemporary recipe collections. But the Swedish Punch I want to take a closer look at today is a bit out of line (I’m almost inclined to say it’s trying to revolutionize the genre…). 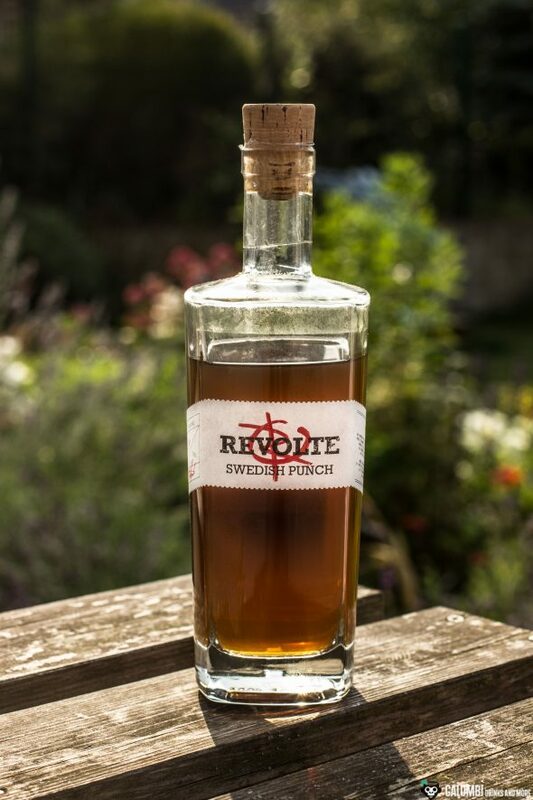 It is the recently released Revolte Swedish Punch. 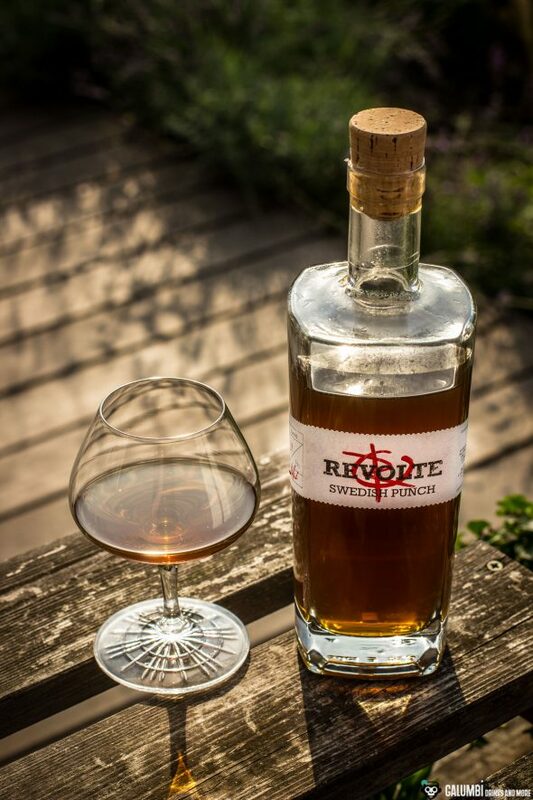 From the Revolte series of distiller Felix Georg Kaltenthalter from the city of Worms, I have already reviewed the Revolte Rum, the Revolte Overproof and the Revolte Falernum. 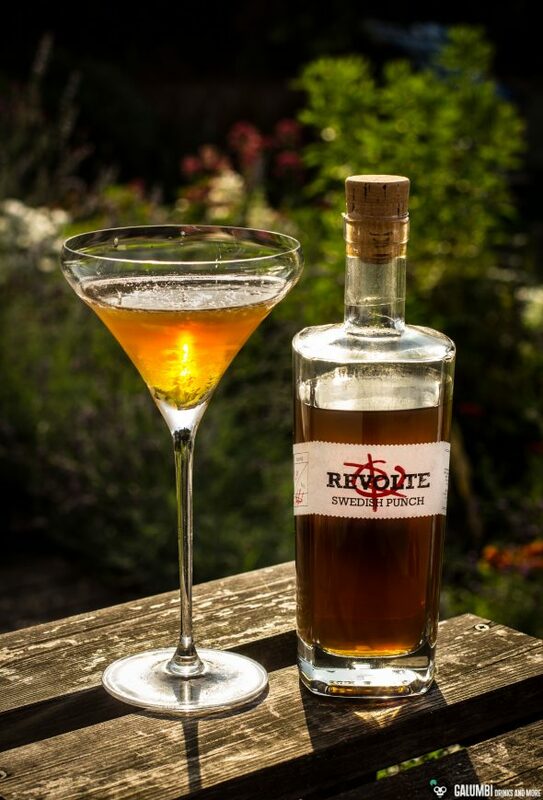 The most striking feature of the Revolte Swedish Punch is that it is not based on Arrack but on the Revolte Overproof. Felix Georg Kaltenthaler has teamed up with Daniel Gsöllpointner from the Goldene Bar in Munich for his creation and created the Revolte Swedish Punch using 9 different spices, including Lapsang and Earl-Grey Tea, orange and lemon zest, cardamom, cinnamon, cloves, star anise and nutmeg. Finally, it is bottled at an ABV of 20%. Although a Swedish punch is, as expected, a very sweet affair, I would also like to present my impressions of tasting it neat. Aroma: The nose is actually reminiscent of an afternoon tea hour. The Earl Grey clearly stands out, the smoky note of Lapsang is also present, but is not too dominant, which is quite certainly a good thing regarding the overall picture. Citrus peels complete the bergamot tones of Earl Grey, honey sweetness and flower meadows finally lead over into a potpourri of spices. The fruity-intensive tones of the Revolte Overproof remain surprisingly subtle, but are clearly noticeable in their typical characteristics. Taste: On the palate, a spicy sweetness unfolds with orange, tea, again honey and some bergamot from the Earl Grey. Cinnamon and nutmeg, just like cardamom, appear after a while, the cloves remain rather subtle. The sweetness is appropriate for a spice liqueur, but actually too strong for having it neat on a regular basis. The Revolte Swedish Punch, however, succeeds impressively in bringing along a very unique and multi-layered aroma profile that already triggers ideas for cocktails during the tasting. Finish: oily with tea, spices (here the Lapsang comes through the most) and ethereal notes. But what would a Swedish Punch be if its suitability wasn’t put to the test in actual drinks? And here – I can tell you this much – the revolt Swedish Punch really passed with flying colours. I would like to briefly introduce two drinks in this context. One is a modern drink from 2014, the other is taken from the classic Savoy Cocktail Book by Harry Craddock. 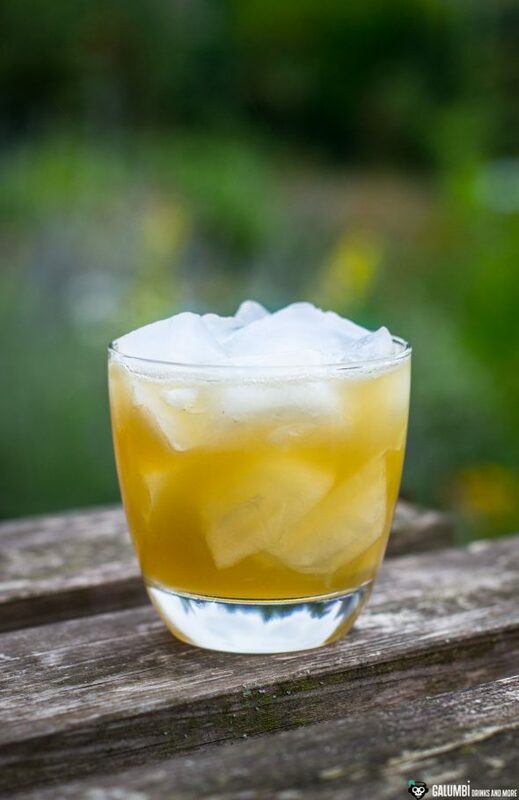 First, the historical cocktail: The so-called Lasky Cocktail is certainly a drink which is not really famous. But it actually has what it takes to be mass compatible, if approached correctly. It is also very easy to prepare, since the original recipe is simply based on three equally weighted ingredients: Dry gin, Swedish Punch and grape juice. But here it gets a bit tricky. Most of the interpretations of this drink use red grape juice (which was probably also originally intended, considering the much greater availability), but I deliberately deviated here and opted for a white grape juice from a Palatinate winery. I also used Boudier’s Saffron Gin because I particularly like its saffron note in combination with Revolte Swedish Punch and white grape juice. The result is a fine, sweet, aromatic cocktail with seductive depth and I’m very pleased with it. This cocktail definitely has the potential to be a “crowdpleaser”. Preparation: Shake all ingredients vigorously on ice and strain into a pre-cooled glass. Spray the oil from the zest on top of the drink’s surface. The Chutes & Ladders was invented in 2014 by Frederic Yarm at Russell House Tavern in Cambridge, Massachusetts. 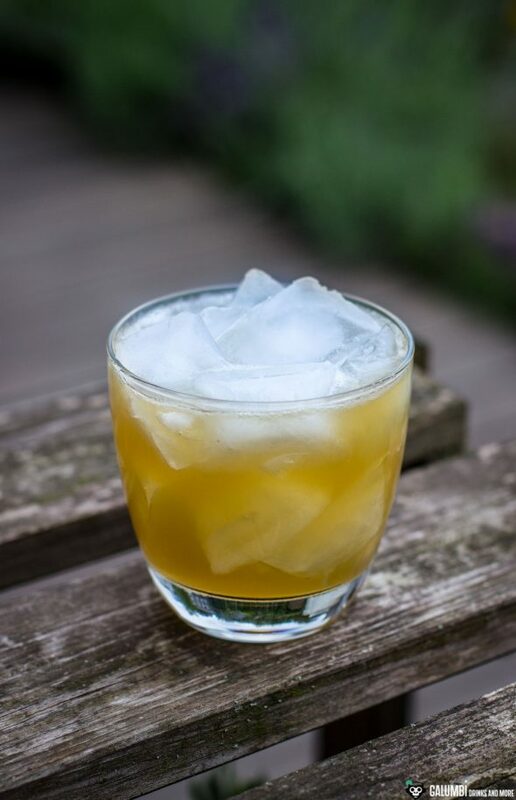 It is a very successful combination of blanco Tequila, Swedish Punch, Quinquina and lime juice, which is an extremely aromatic taste experience (and one of those rare recipes in which vermouth is shaken as part of a sour). Perfect in summer, but also a real recommendation for every friend of tequila cocktails. I chose the Topanito Blanco as a base, which led to a very good result. Preparation: Shake all ingredients vigorously on ice and strain into a glass filled with fresh ice cubes. Finally, spray the oil from the orange zest on top of the drink’s surface and then discard the zest.